When Choosing a New Colorado Roof, Choose Interstate Roofing! At Interstate Roofing, we serve the entire front range, from Fort Collins roofing down to Colorado Springs roofing, and roofs in between. In our experience, there are a lot of different preferences between clients. We work with you to help you get the roof that you want and need. We are here to help answer your questions and to guide you through the process. If you are looking to get a new roof but aren’t sure what you are looking for take a look at the guide below from our friends at Bob Villa and give us a call and we will get you a new roof that will last. 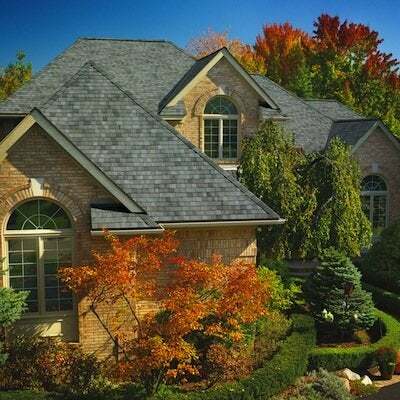 Choosing the Best Roofing Material for Your Home – Bob Vila Every homeowner knows that a sound roof is an absolute must to protect your investment. That’s why routine roof maintenance—from cleaning out gutters to checking for missing shingles and leaks in the attic—is so important. In general, roofs last between 15-20 years depending on the original materials used. So, if yours is approaching that age, it might not be a bad idea to have a professional roofer conduct an evaluation. If the inspection indicates a new roof is in order, you’ll have one of two options: installing the new roof directly over the old, or replacing it entirely. In either case, you’ll have the opportunity to redefine and reinforce your home. MATERIAL While roofing is available in a wide variety of materials including wood, metal, tile and slate, far and away the most popular choice for homeowners is asphalt shingles. Today’s relatively lightweight and flexible shingles are typically made from a fiberglass mat, covered in asphalt and colored with mineral granules. With manufacturing innovations that include everything from superior-strength Micro Weave™ Core construction to granules that lock in color and provide valuable UV protection against the sun’s damaging rays, you won’t have any trouble finding a good-looking, high-performing asphalt shingle to suit your home and budget. STYLE Although driveways, lawns, siding and front doors get most of the attention when we think about curb appeal, the roof actually contributes mightily to the look of a house. If you are considering a new roof, look for the shingle that best suits your home’s architectural style. You’ll also want to factor in the surface area, pitch and angle of the roof to determine whether a standard three-tab, dimensional or artisan-crafted shingle will deliver the look you want.